Christophe Reinhardt and his qualified instructors welcome you on the beaches of Guéthary and Bidart, two authentic and preserved villages, but also on the spots of Biarritz, Saint-Jean-de-Luz and Hendaye. 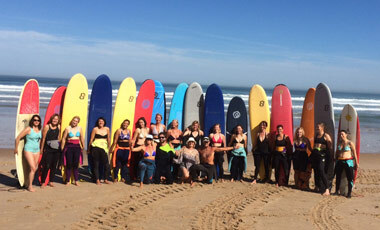 The surf school Quiksilver offers surf camp, collective surf courses and private lessons (initiation and improvement ...). With Christophe Reinhardt, you enjoy a deep knowledge of the ocean, a great surfing experience, its history and the culture that goes with it. The surf school he created is like him: authentic and experienced.